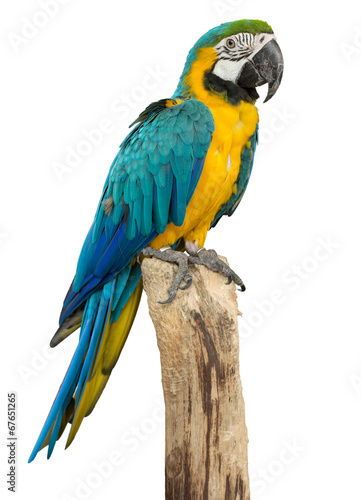 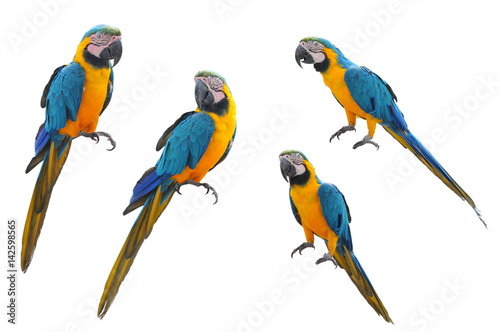 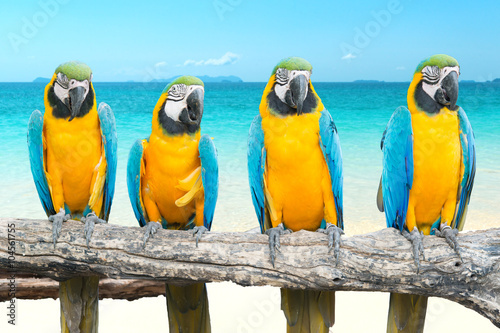 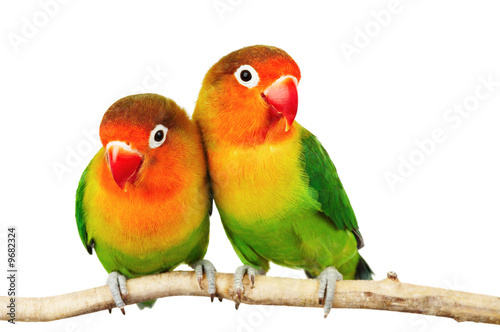 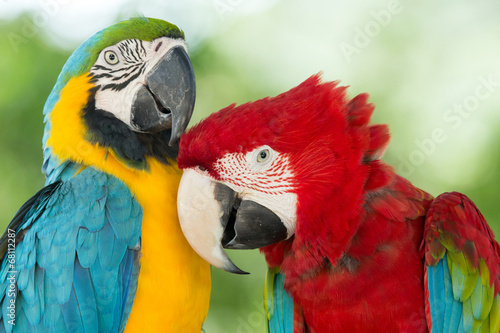 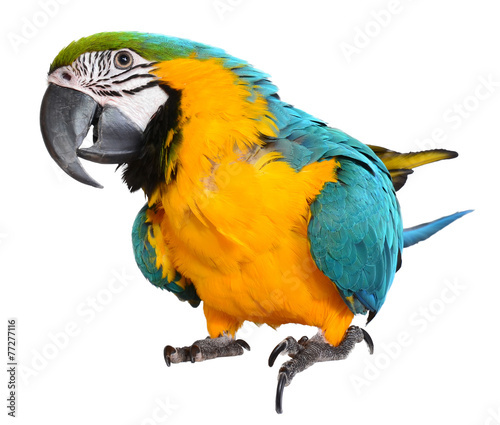 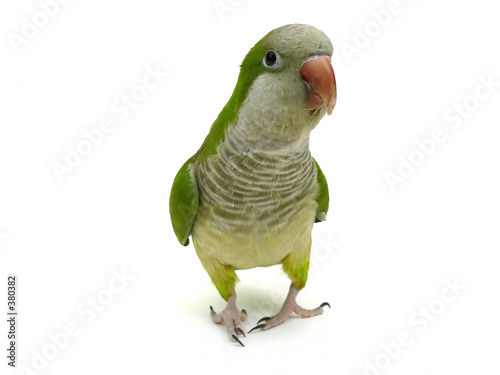 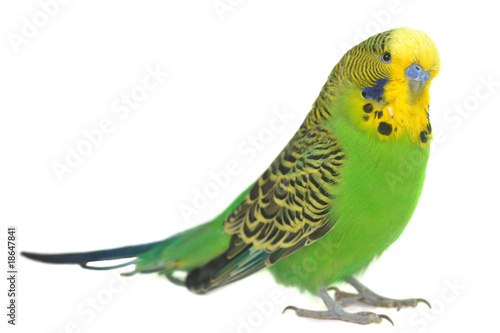 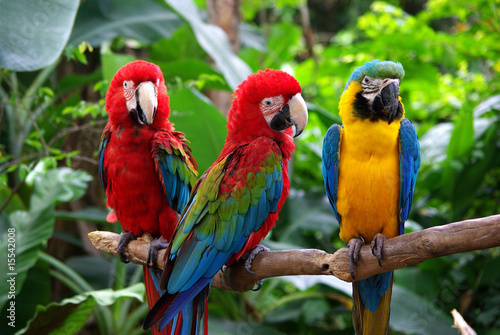 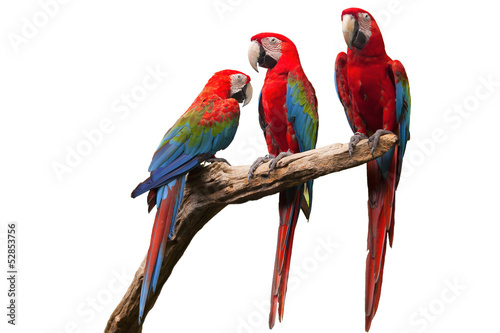 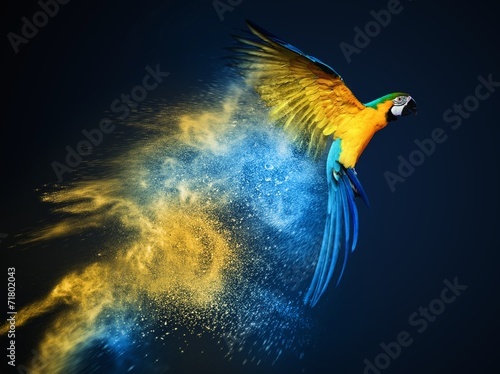 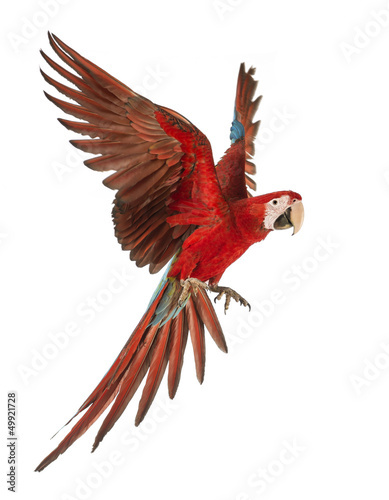 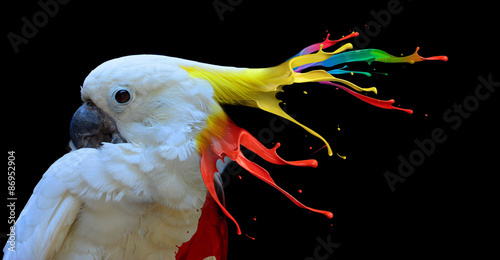 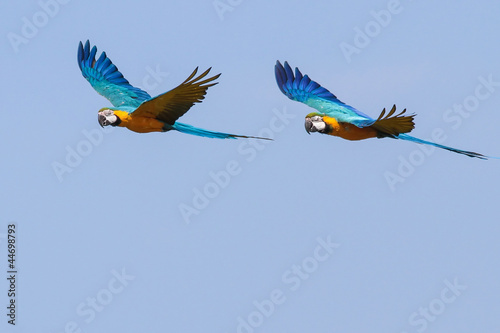 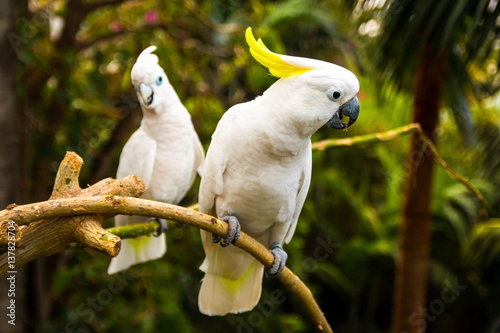 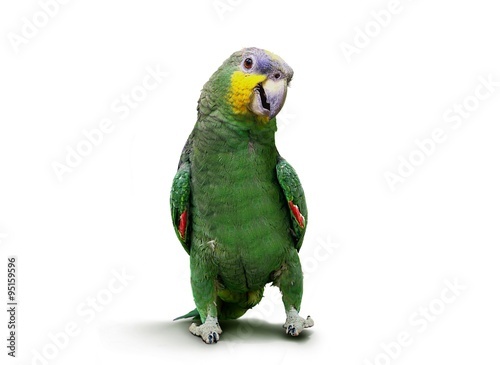 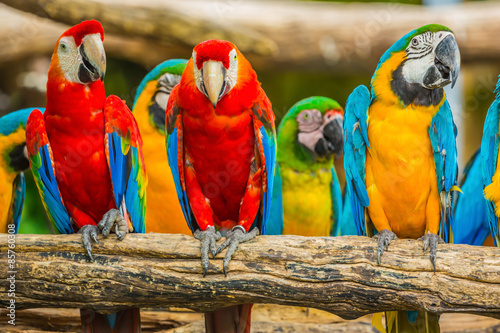 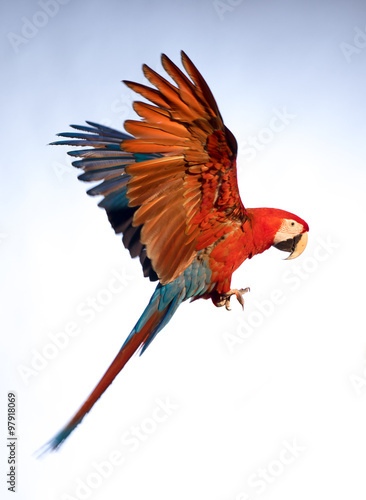 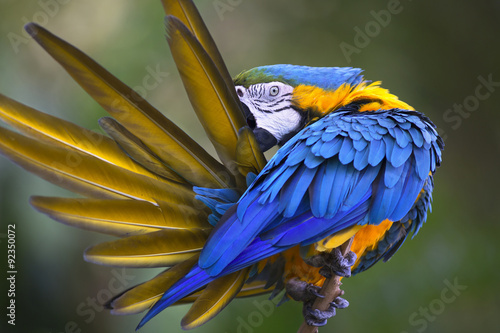 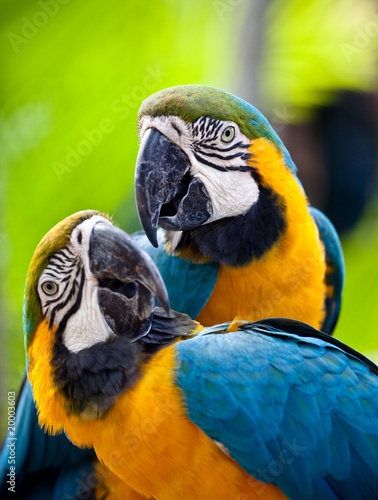 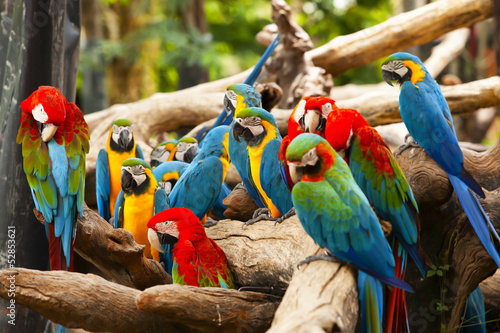 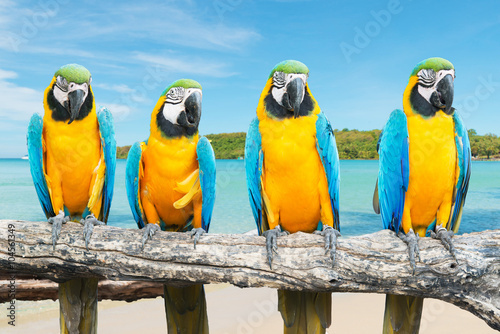 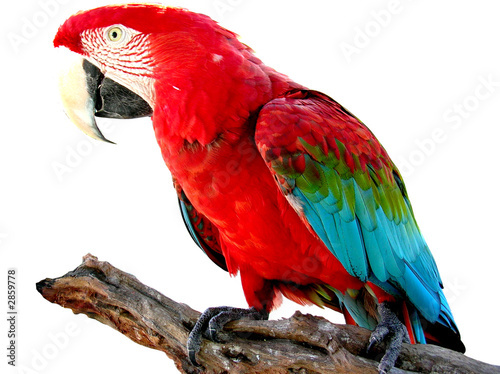 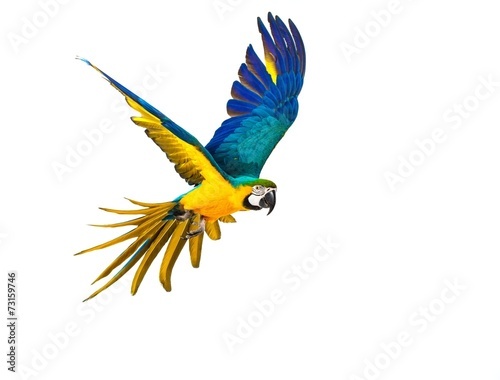 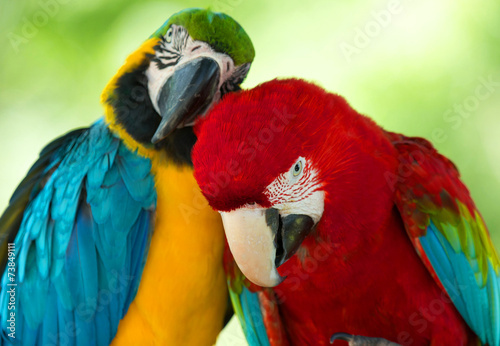 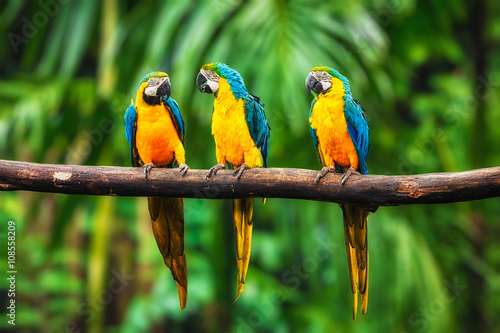 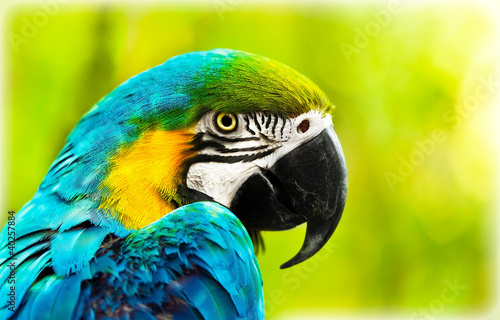 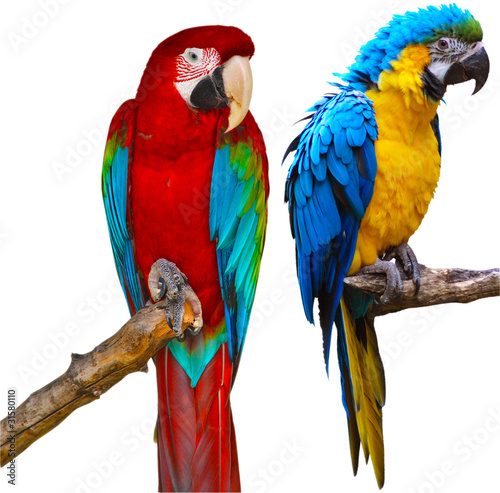 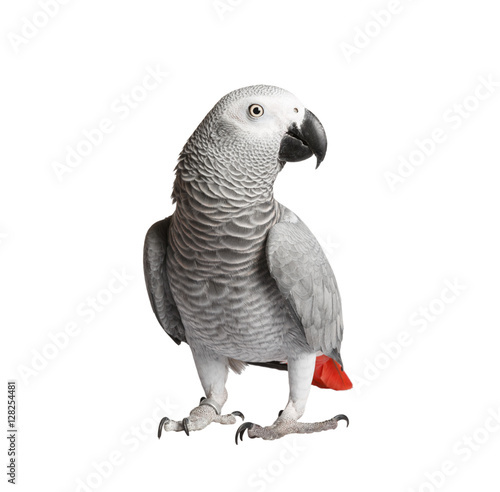 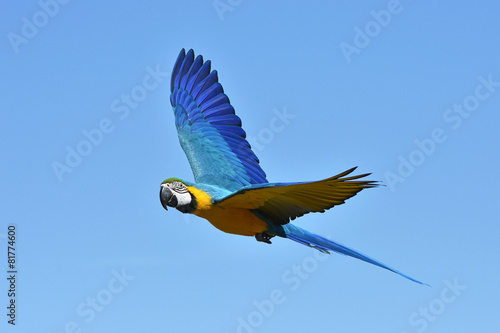 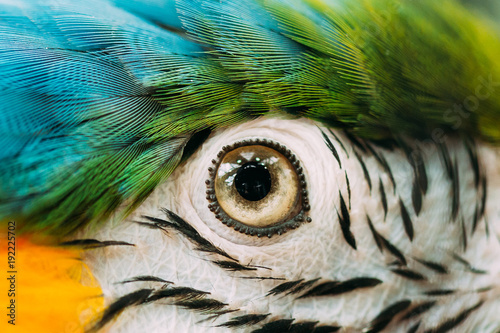 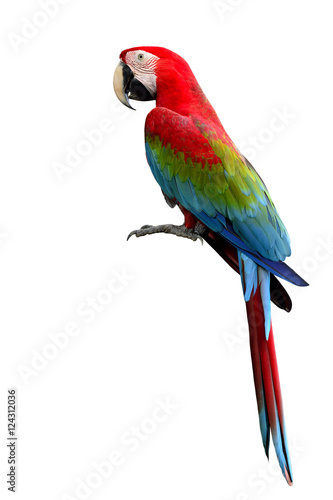 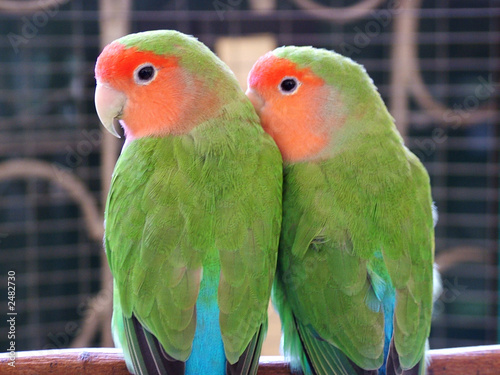 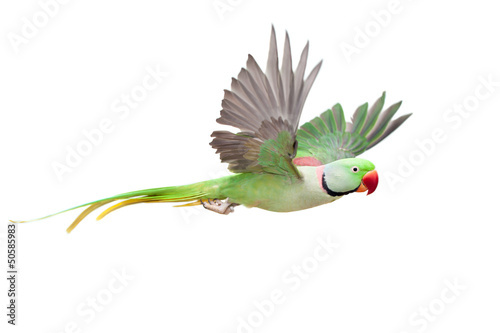 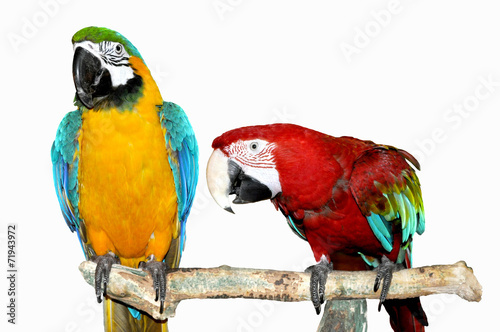 A collection of parrot macaws on a white background. 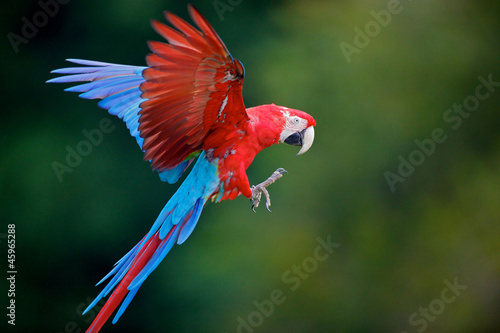 Red parrot fly in dark green vegetation. 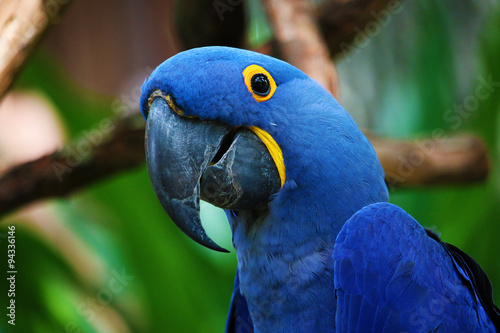 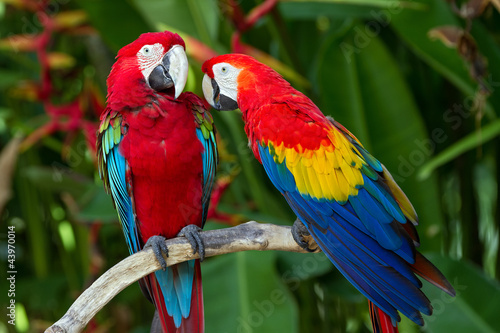 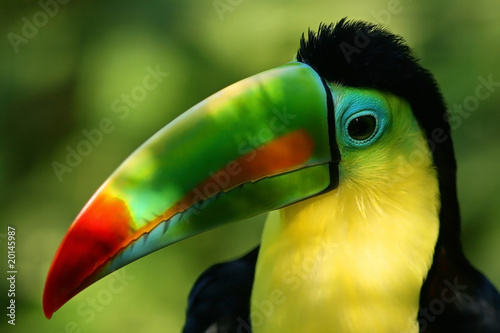 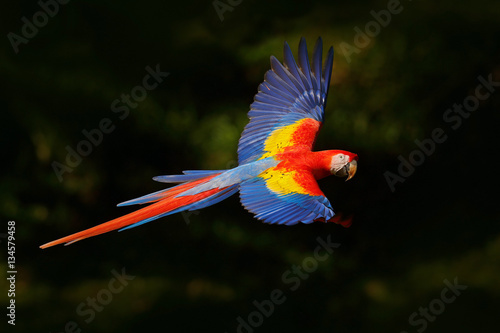 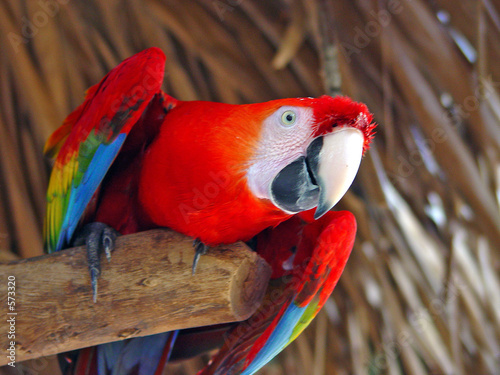 Scarlet Macaw, Ara macao, in tropical forest, Costa Rica, Wildlife scene from tropic nature. 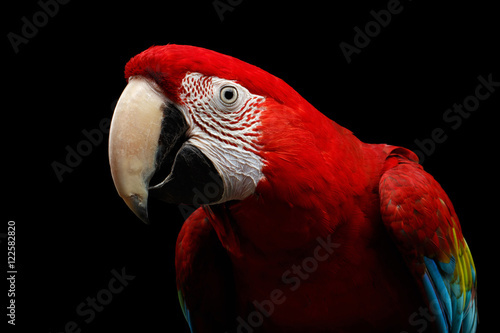 Red bird in the forest. 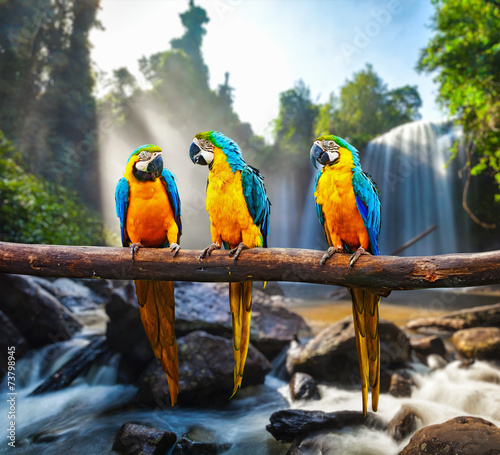 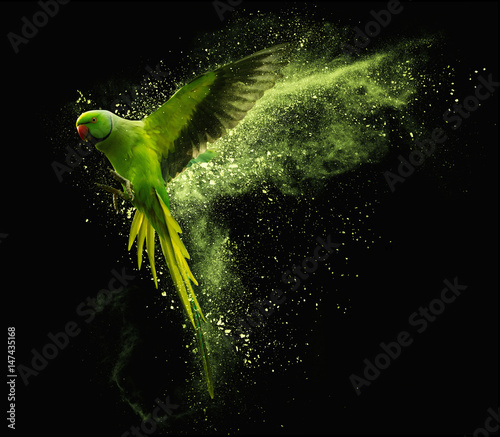 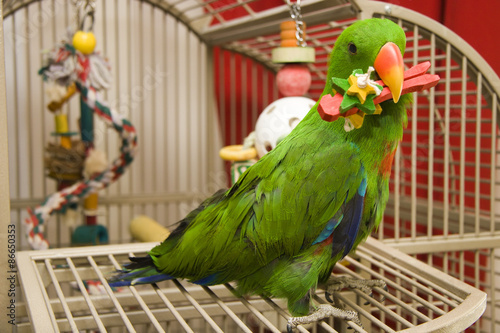 Parrot flight in the green jungle habitat.